Welcome to Journeyman Sportfishing Charters. 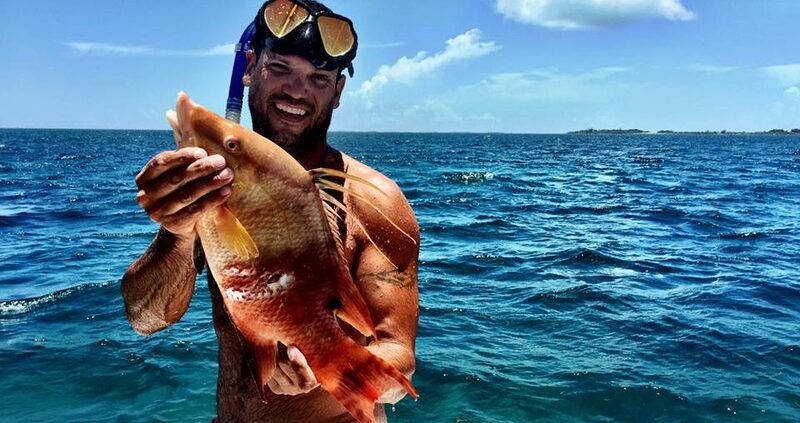 We’re a Port Canaveral Fishing Charter service offering a variety of action-packed fishing trips off of Florida’s Space Coast. 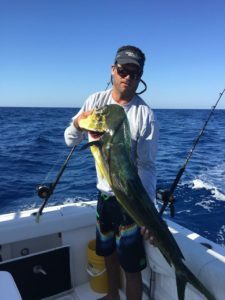 We offer trips for both the serious sport fisherman looking for BIG fish action, as well as the casual fisherman looking for a great day on the water with family or friends. There are quite a variety of fishing opportunities within just a few miles of Port Canaveral, including bottom fishing off the reef for grouper and snapper, or trolling for kingfish, wahoo, cobia, and dolphin. Giant bull redfish, large black drum, and tarpon are also a possibility at various times to the year. For a unique fishing experience, we also offer nighttime trips targeting sharks. The array of options means that throughout the year there are always great fishing opportunities. 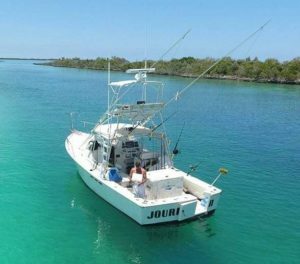 Your day on the water will be aboard the Journeyman, one of the finest recreational sport fishing vessels in the entire port. The Journeyman can comfortably fit up to 6 passengers, with plenty of seating and shade onboard. Unlike many of the smaller vessels fishing out of the port, there’s a cabin with a head (bathroom facilities) to ensure that everyone stays comfortable throughout the day. The combination of spaciousness and amenities makes the Journeyman the perfect vessel for a great day on the water. For more details check out “The Boat” page on this website. Charter fishing in Port Canaveral has been strong towards the end of May. Consistent catches of Mahi, Amberjacks and Bottom Fish have made daily trips on the Journeyman tough to beat. The weather seems to be getting better as the month of May comes to a close. We are looking forward to a calmer summer, conditions over the last few months have been less than favorable. We have some days available next week and the weather looks great! Captain Ron here with a quick Port Canaveral Offshore Fishing Report. May 1 started our 2017 Grouper Season! 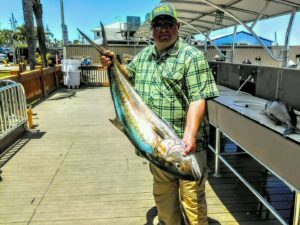 The Mahi-Mahi bite continues to be very productive with fish being caught up into the #50 range. Grouper and Amberjack being caught on the offshore wrecks have also been steady. Fished outside of Port Canaveral this week and caught bunches of dolphin all week up to 50 pounds. Finding them just inside the gulf stream. If your looking for an action packed fishing charter this is the time to book it.